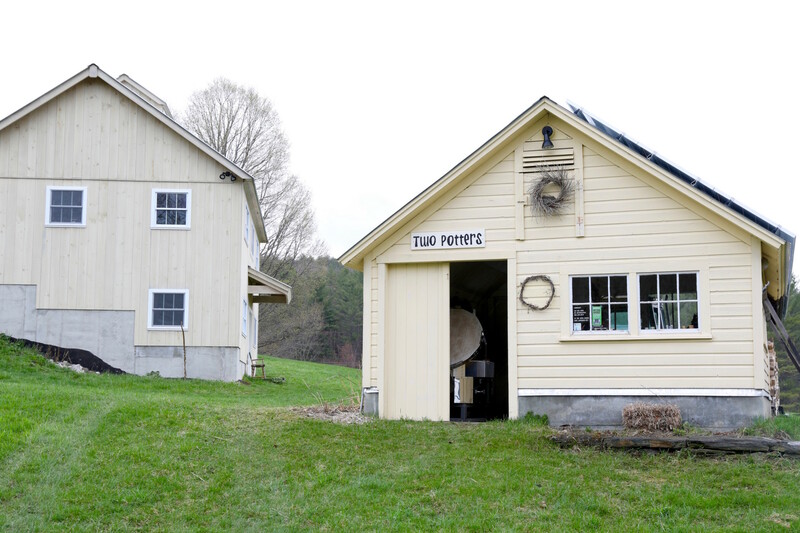 Tucked in the hills of Bethel VT, two potters have created a homestead in which they, along with their two children, could live out their dream of craftsmanship. A balance of family and work makes for an inevitably busy, yet vivacious day-to-day schedule. However, this chosen lifestyle evokes a strong bond between them. The children see their parents following their passion and creating a home which can foster that creativity. 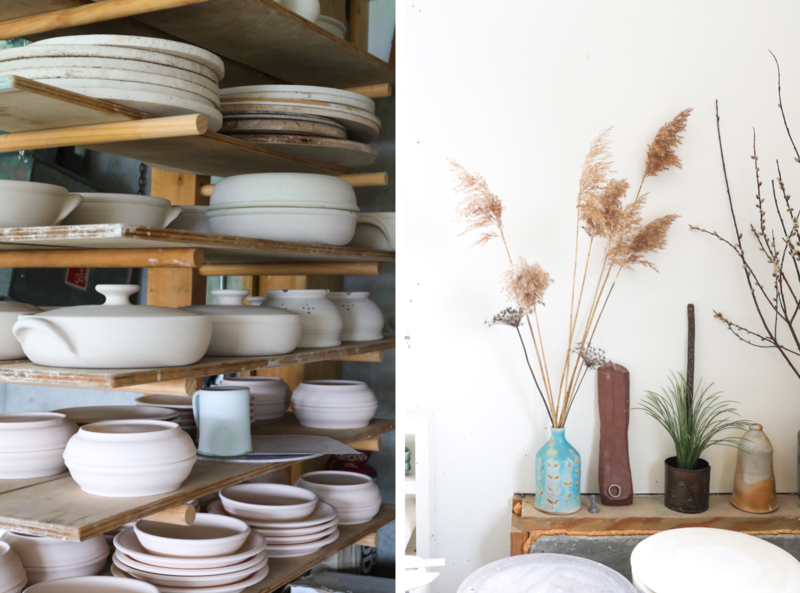 It is here in Vermont’s bucolic landscape where Becca and Nathan have created Two Potters – a manifestation of their love for family, ceramics, and the thoughtful process behind their product. The couple met each other about nine years ago, when Nathan called Becca out of the blue to inquire whether she’d be interested in teaching a clay workshop in his studio. Both potters with similar interests and obvious chemistry, a two-hour phone call led to their engagement three months later! 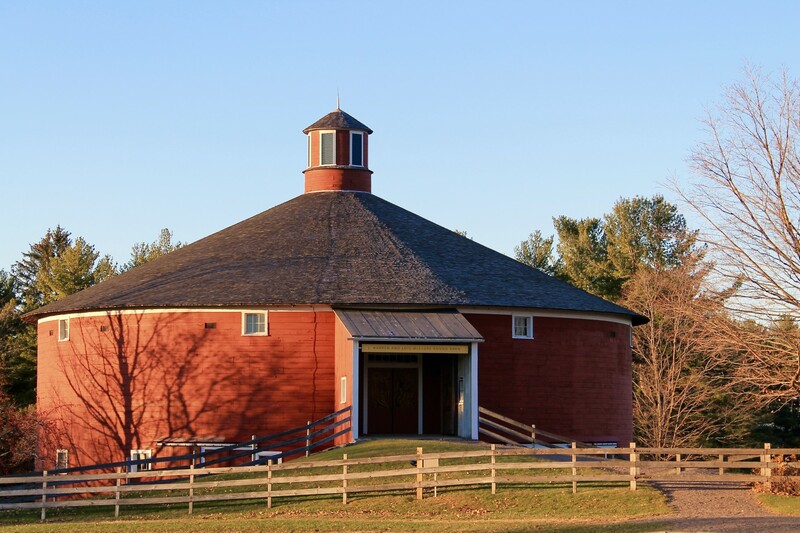 The couple found an old hill farm in rural Vermont to live, work, and raise their family. 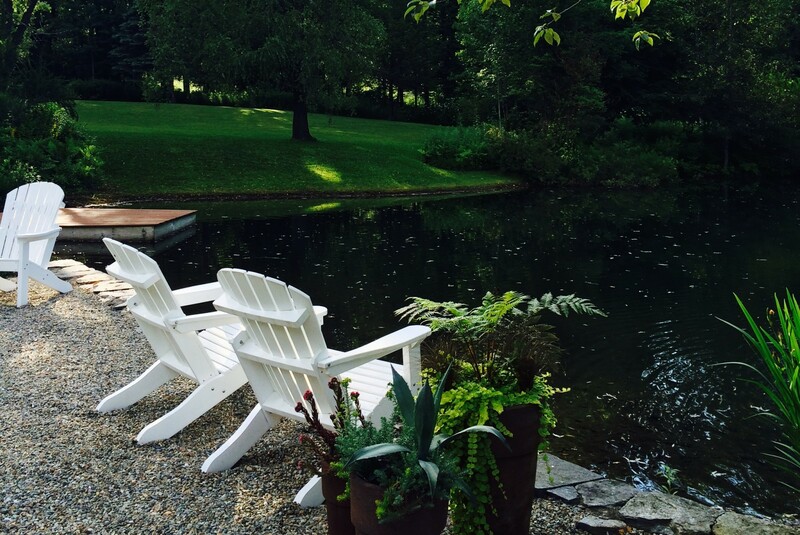 Since moving, Becca and Nathan began transforming the property to accommodate their trade and vision. 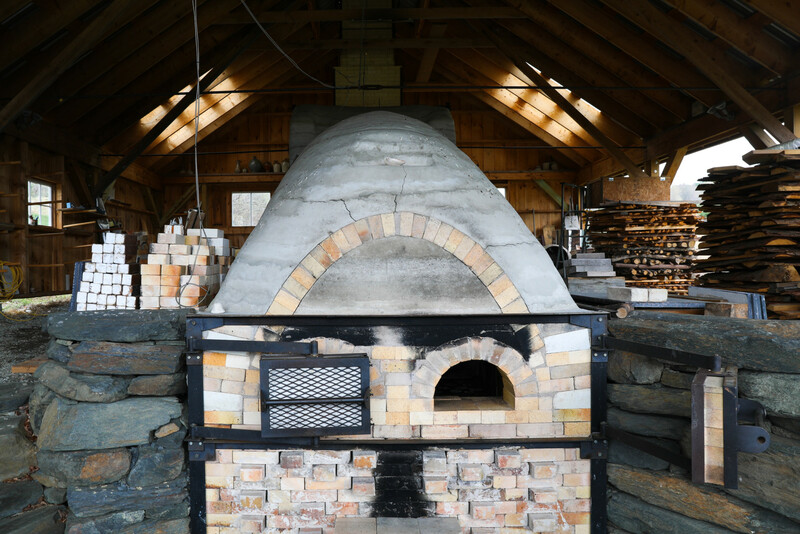 They started by collecting bricks to build their own wood-fired kiln. In fact, it took the couple three years to design and build this massive structure themselves. The final design now earnestly sits beneath a barn roof, large and impressive, awaiting its next firing. The kiln is big enough to walk into and stand straight up. Becca and Nathan construct make-shift shelving to utilize as much of the kiln space as possible. 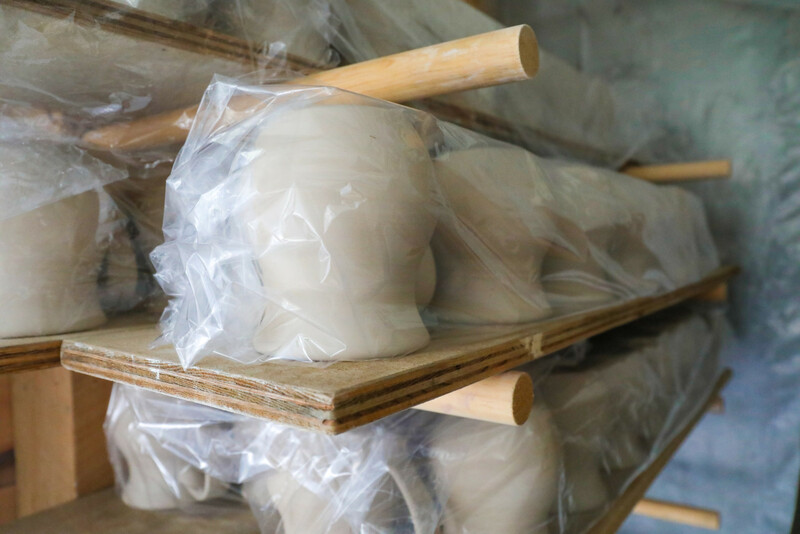 Once the pieces are stacked and ready, Two Potters begins their single firing process. This labor-intensive technique creates a beautifully unique look for which Becca and Nathan are now known. It takes months to create enough pottery to pack the kiln to capacity. Once fully stocked, over 800 pottery pieces are fired for four days straight, day and night. Becca and Nathan stoke the kiln with scrap slab wood throughout the firing to reach a temperature of over 2300 degrees Fahrenheit. The subsequent wood ash creates a natural glaze on each piece. After a week of cooling, Becca and Nathan remove the pottery from the kiln. This process is no joke, making each piece highly anticipated and special. Hearing about the amount of time and care involved in Two Potters’ firing prompt us to appreciate their pottery even more. After all, many of Becca and Nathan’s ceramics have been in the making for months! 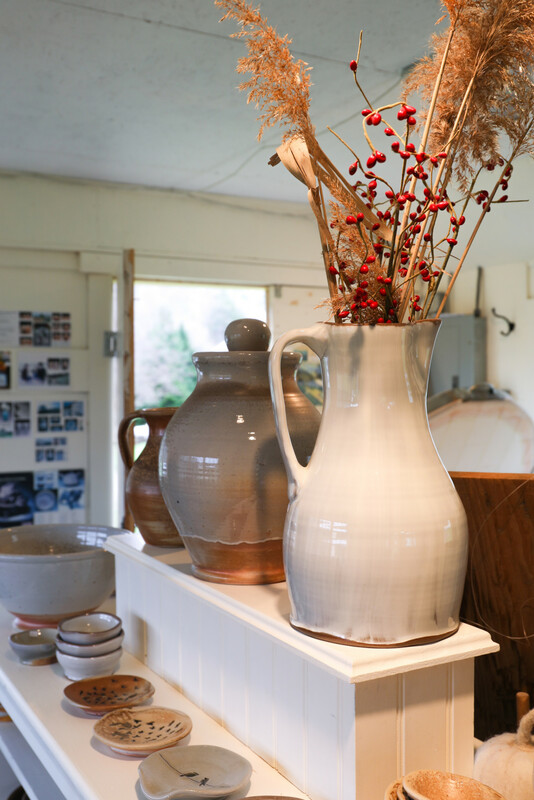 The couple behind Two Potters also built their own timber-frame pottery studio. Nestled just behind their home and storefront, Becca and Nathan walk across their lawn to begin the workday. They each take turns playing with their two kiddos and throwing behind the wheel. 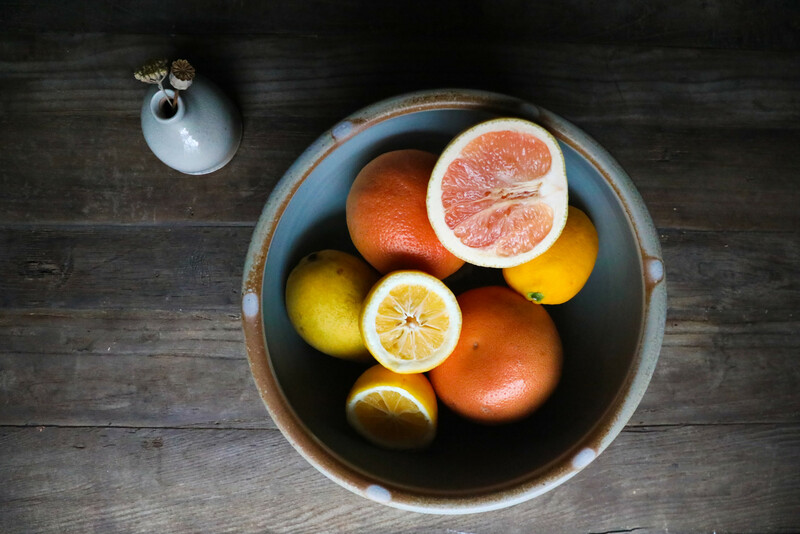 Pieces such as bowls, mugs, mason jars, and pitchers consistently turn out of the Two Potters studio. A few of these pieces are fired in a small electric kiln Becca and Nathan have on hand. In a very resourceful fashion, the power in the studio derives from solar panels on the roof of the Two Potters showroom. Additional electricity from these panels helps power their pottery wheels and other studio electronics as well. 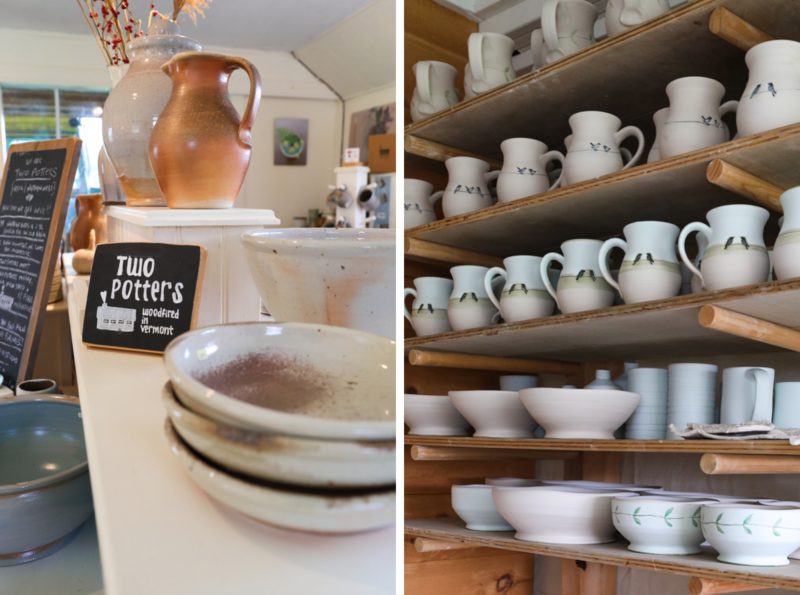 You can find Becca and Nathan’s pottery in the Two Potters showroom (located in the farm’s old milk house!). Simply call or email Becca and Nathan to schedule a time to visit. Some pieces are also available on Etsy. Good news for you newly engaged couples – Two Potters now also accommodates registries! We suggest you keep an eye out for Becca and Nathan at the Mount Sunapee Craftsmen’s Fair this August, if you are in the area, as well. We’ve fallen in love with the burnt oranges, light blues, and tiny birds that adorn Becca and Nathan’s pottery. It seems that there is a piece to fit every person’s aesthetic. Moreover, Becca and Nathan are two of the most genuine people we have ever met. 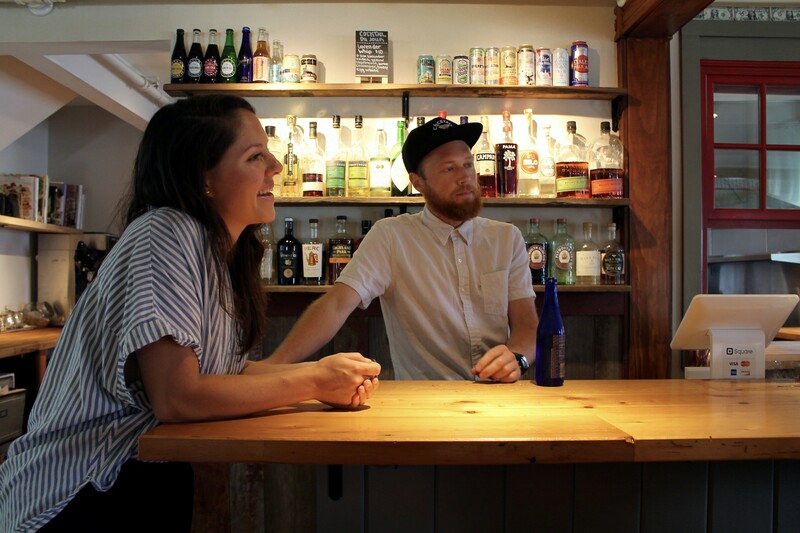 Their passion and enthusiasm for their craft is not only visible, but also contagious. The beauty of Two Potters’ pieces truly reflects the down-to-earth personalities of the craftsmen who made them.